Recently one of the best death metal albums in a long time was released, the party responsible is Burning Inside. Hailing from Florida, guitarists Steve Childers and Michael Estes (Acheron), and drummer Richard Christy (Acheron, Death, Control Denied) try not to cash in on the fame of some of the band's members, but rather, hold the view, "let the music do the talking". This is demonstrated by the fact that neither Christy nor Estes, but Childers is taking care of the interviews. This is what the lover of beer and horror movies told me. # To begin, please introduce the band and recall the events which preceded the release of "The Eve Of The Entities". 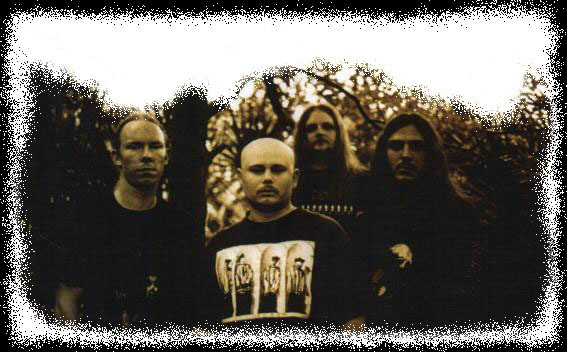 = Burning Inside was founded in the winter of 1995 by Richard Christy (drums and keyboards), and myself, in Missouri. Before that we played in a band called Public Assassin, but stopped because we wanted to make faster and more technical music. Next bass player/singer Jamie Prim joined the band and we recorded a demo which was very well received by the underground. Mike Estes (who was in a band with Jamie beforehand) moved, after hearing the unique sound of Burning Inside, from Missouri to Florida to become our second guitarist. With Mike's help the whole band moved to Florida later on. Since the beginning our goal was to have an own sound and not to sound like any of the weekly appearing clones. Our debut "The Eve Of The Entities" is released by Still Dead Productions, aside from that, Burning Inside is to be heard on tribute albums for Black Sabbath, Judas Priest and King Diamond (all on Dwell Records), Iron Maiden (on Twilight Records) and Mercyful Fate (on Still Dead). # The songs on the CD are all excellently crafted. Please describe the band's songwriting proces. = Four of the songs were written by Richard , Jamie and myself, when we were still a trio. For the other songs Mike also contributed. We start with a guitar riff or a drum beat and we add stuff and polish as long as needed untill we think it sounds heavy, brutal yet still a bit technical. Most songs are way too technical in the beginning and we have to simplify them. I don't know why that happens, but it provides us with a cart-load of riffs to work with. Next come the lyrics and then we write the solo's and put the vocals on the right place. We spend a great deal of time on the songwriting. Richard composes all the keyboard intro's and outro's. # Can you tell us some more about the lyrics? = The title song is about "Halloween" (the night of October 31/November 1) and one of the most important witch-sabbaths/EW), when the dead rise, witches have their greatest power and evil is all around. "Engulfed In Flames" is based on the story of Countess Bathory, but in my version she gets burned. "Blind To All That Exist" is about the millions of innocent people that were killed for witchery by the Christians. The other lyrics are about personal problems and psychological subjects. # Which bands influence Burning Inside? = For the whole band it's Mercyful Fate, metal bands from the 80's and death metal bands from the early 90's. Recently I've been listening to Venom, Candlemass, old Scorpions, Morbid Angel, Black Sabbath with Ozzy, Autopsy, Uriah Heep and Kreator (I named merely a few out of Steve's catalogue/EW). # I've heard that some of the Burning Inside members are active in Witchery as well. = That's right. Black Witchery is a project that makes "hateful, barbaric war metal". On the Dark Horizons label we've released a 7 inch EP and a split CD/LP with the Canadian Conqueror. Expect a raw sound a la Bathory, Blasphemy and Beherit. A full lenght album will be released very soon on Full Moon. At our shows we wear coats and masks just like Mortuary Drape. 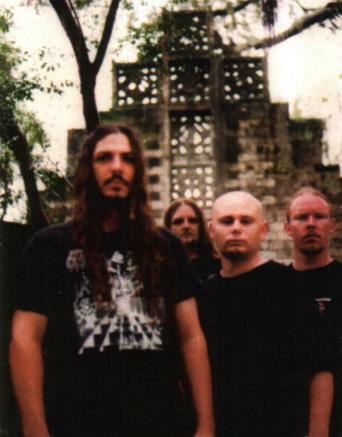 # Around 10 years ago the death metal scene in Florida was huge and world famous. How are things today? = Compared to those days the scene at the present time is miniscule. But it's bigger than the scene in Missouri. Gigs that used to attract 2000 people only attract 500 today, but there are still a lot of talented bands and musicians walking around. Tampa has the best scene, which is where we do most of our gigs.